Do you have allergies? What can be done about them? 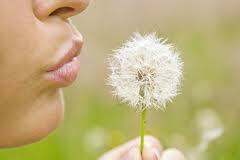 Allergies are brought on by a hypersensitive immune system. The hypersensitive immune system misidentifies an otherwise ’harmless’ substance as harmful, and then attacks that substance with far greater intensity than required. The problems these allergic substances can cause range from mildly inconvenient to severe. 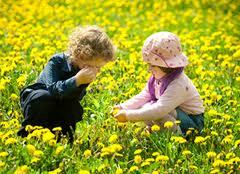 Allergies can develop with age or can even occur in very young babies. We are all born with inherited weakness from our parents and grandparents. As we get older we often become less tolerant of foods and beverages which cause us to feel sick, irritable and suffer from symptoms as varied as eczema to headaches. If we have Eczema, Psoriasis, Hay Fever or Asthma quite often our histamine level is too high because the body overcompensates and produces too much, or our immune system is weaker. In order to deal with our allergies we need to find out the triggers that are causing these re- actions. This can be done through a comprehensive Allergy Test. 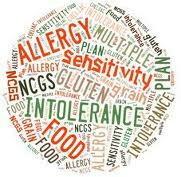 By using an Electro Magnetic Machine (AT2000 Allergy Tester) you can be tested for up to 290 different allergens. The allergens that we can test for include foods, dust, pollens, soaps, petrol, chemicals, metals, bacteria/ fungus, moulds, Candida, bees & other insects, hair fibres, materials and chemicals. You can also send in anything from home or work such as a piece of carpet, a chemical you work with, creams, make-up or any- thing from your garden to be tested. A test report will be given to you to keep and it will be explained to you what foods etc. you need to have a break from. Furthermore, homeopathic remedies can be made up to build up a tolerance to the substances. This is called desensitization and it works by building up your immunity and resistance to the triggers. It is a natural product without harmful side-effects. After an allergy test we work on the diet and the cause of the problem rather than solely on the symptoms, this is to help us recover fully from the problem and live a normal healthy life.